PVR Pictures comes forward to release Himansh Kohli’s ‘Dil Jo Na Keh Saka’! The film is a love story between two best friends who don’t profess their love for each other fearing they may lose their friendship. Starring Himansh Kohli and Priya Banerjee in important roles, the upcoming romantic film Dil Jo Na Keh Saka will be released by PVR Pictures. Trade analyst Taran Adarsh took to Twitter to announce the news along with its release date. Made under the banner of Diya Production's, Dil Jo Na Keh Saka will hit screens on 17th November 2017. Directed by Naresh Lalwani, the film has been extensively shot across the beautiful locations of Shimla. Some portions of it have also been filmed in Mumbai. 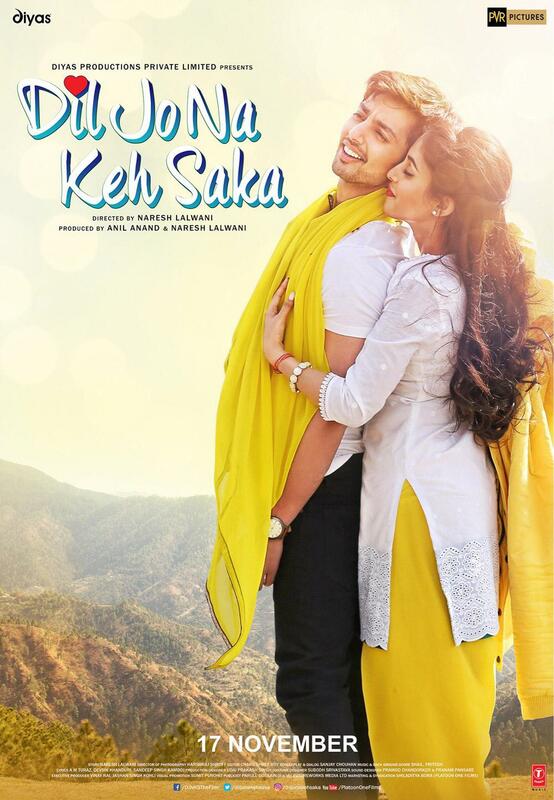 Dil Jo Na Keh Saka is a romantic film which revolves around two best friends (Himansh Kohli and Priya Bannerji). Both love each other but they don’t confess their feelings thinking they might lose their friendship. Besides Himansh Kohli and Priya Banerjee, the film also stars Ashiesh Roy. Himansh Kohli was last seen in the recently released film Ranchi Diaries, which met with a very dismal response at the box office. We hope Dil Jo Na Keh Saka turns out to be a profitable film for him. Karanvir Bohra wraps his first feature made under his home banner, Bora Bora Entertainment! Anupam Kher wraps up the on-going schedule for his 511th film! Trailer of Ranchi Diaries: What happens when a bank heist goes wrong? Watch here! Salman Khan takes to Twitter to wish luck to Anupam Kher for his next film 'Ranchi Diaries'!